Posted December 2nd, 2018 by Tour Operator & filed under Galilee tours, Hiking Israel, Israel Extreme Tours, Israel Tours 2018, Things to do in Israel. Posted November 28th, 2018 by Tour Operator & filed under Day Tours in Israel, Galilee tours, Israel Tours 2018, Planning a Trip to Israel, Point of interest, Things to do in Israel, Tourism General. Posted October 8th, 2018 by Tour Operator & filed under Day Tours in Israel, Israel Itinerary, Israel Tours 2018, Planning a Trip to Israel, Point of interest, Things to do in Israel, Tours in Tel Aviv. Posted August 15th, 2018 by Tour Operator & filed under Day Tours in Israel, Israel Tours 2018, Planning a Trip to Israel, Point of interest, Things to do in Israel, Tours in Tel Aviv. Posted January 21st, 2018 by Tour Operator & filed under Israel Tours 2018, Point of interest, Things to do in Israel, Tours in Jerusalem. Posted May 18th, 2017 by Tour Operator & filed under Galilee tours, Hiking Israel, Israel Summer Camp, Israel Tours 2018, Tours in Judea Desert. Posted January 31st, 2017 by Tour Operator & filed under Israel Tours 2018. Posted July 25th, 2016 by Tour Operator & filed under Israel Extreme Tours, Israel Tours 2018, Private Driver Guide, Things to do in Israel, Tourism General. Posted January 18th, 2016 by Tour Operator & filed under Galilee tours, Hiking Israel, Israel Extreme Tours, Israel Tours 2018, Things to do in Israel. Posted October 12th, 2015 by Tour Operator & filed under Israel Itinerary, Israel Tours 2018, Planning a Trip to Israel, Tourism General, Tours in Jerusalem. Posted October 7th, 2015 by Tour Operator & filed under Galilee tours, Israel Tours 2018, Tours in Jerusalem. Posted June 16th, 2015 by Tour Operator & filed under Bible Tours, Galilee tours, Hiking Israel, Israel Extreme Tours, Israel Tours 2018, Private Driver Guide, Tours in Judea Desert. Posted January 17th, 2015 by Team Operator & filed under Israel Tours 2018, Things to do in Israel, Tours in Jerusalem. Posted January 17th, 2015 by Team Operator & filed under Things to do in Israel, Tours in Jerusalem. 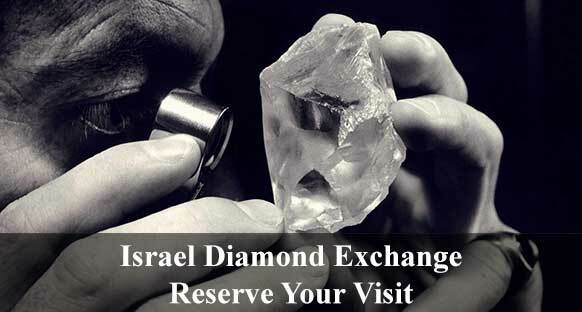 Posted January 17th, 2015 by Team Operator & filed under Galilee tours, Things to do in Israel. Posted January 17th, 2015 by Team Operator & filed under Galilee tours, Hiking Israel, Israel Tours 2018, Private Driver Guide. Posted January 17th, 2015 by Team Operator & filed under Galilee tours, Hiking Israel, Israel Extreme Tours, Israel Tours 2018, Things to do in Israel, Tours in Judea Desert. Posted January 17th, 2015 by Team Operator & filed under Israel Tours 2018, Private Driver Guide, Wine Tours. Posted January 17th, 2015 by Team Operator & filed under Christian Tours, Galilee tours, Israel Tours 2018, Tours in Jerusalem.